In May 2018, students at Sheridan High School successfully earned qualifying scores on a record 276 AP Exams, up from 98 AP Exam qualifying scores in 2008. The College Board has announced the 2018 AP Scholar recipients for Sheridan High School based on performance on the May AP Exams. Eighteen AP courses are available at SHS with college credit awarded for qualifying scores of 3, 4, or 5. Those scores are compilations of multiple-choice and free response questions. With an agreement in April 2018, all publicly supported universities in Arkansas will be awarding college credit for scores of 3, 4, and 5 plus any required pre-requisite course that specific university might require. This year two students earned the prestigious AP National Scholar Award: Anna Handloser and Grant Dawson. Both enrolled this fall at Arkansas State University. In order to qualify for AP National Scholar students must earn scores of 4 or 5 on at least 8 AP Exams while in high school and maintain at least a 4 average on all AP Exams taken. Average scores were 4.00 for Anna and 4.09 for Grant. Both were successful on 11 AP Exams while at SHS earning around 50 college credit hours with AP and concurrent course credits. Eight students qualified for AP Scholar with Distinction and together had an average score of 3.81. They had to receive average scores of at least 3.5 on all AP Exams taken, and scores of 3 or higher on five or more of these exams. The Sheridan AP Scholars with Distinction for 2018 are: Courtney Allen, Grant Dawson, Anna Handloser, Megan Harrington, Caleb Head, Jacob Palmer, Sarah Rawls, and Curt Smead. Nine students earned AP Scholar with Honor awards: Kamryn Alkire, Peyton Clark, Anna Eggburn, Jack Germaine, Samuel Gray, Anna Holiman, Ellie Mayberry, Kristen Pinkerton, and Laura Workman. In order to earn this award, students had to receive an average score of at least 3.25 on all AP Exams taken, and scores of 3 or higher on 4 or more of the exams. Meredith Martin, Margaret McGowen, Logan Mitchell, Sarah Moore, Alex Norris, Priscilla Roshto, Jonathan P. Scott, Preston F. Scott, Dorsey Spears, Jordan Simpson, Tessa Stetzer, Elizabeth Stickford, Benjamin Sutherland, Lauren Taylor, Christine Thompson, Benjamin Trussell, Katherine Vermilyea, and Brayden Veuleman. 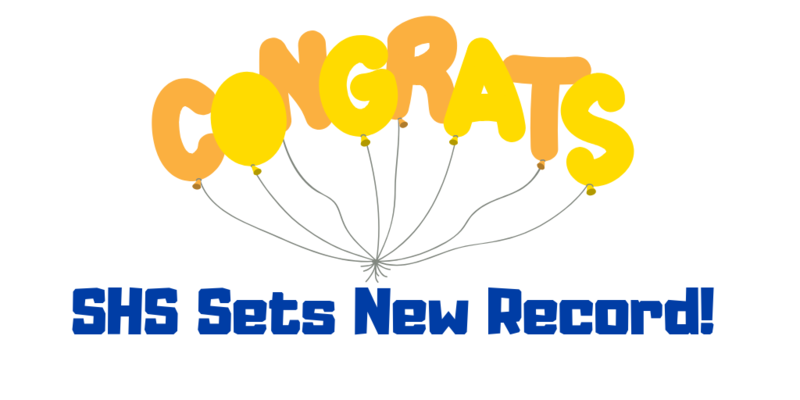 Congratulations to these dedicated students and their teachers for making these new records a reality.